Patricia has experienced the Beyond Addiction program and is skilled at working with clients with sexuality and intimacy issues. Her work is not exclusive to issues of sexuality and intimacy but this is an area of specialized training and expertise. She draws from several years of study with Suki Hanfling LICSW, AASECT, Director of the Institute of Sexuality and Intimacy. 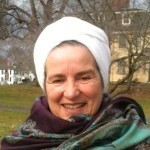 She also has studied with Gina Ogden Ph.D;LMFT, author and creator of the ISIS Approach to Integrating Sexuality and Spirituality.